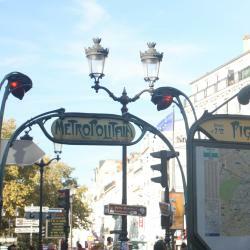 Looking for hotels near Gare du Nord Metro Station? Just 55 yards from Gare du Nord Train Station, this hotel offers soundproof guest rooms with satellite TV. An airport shuttle can be organized upon request at the 24-hour front desk. The room was small but functional. The shower worked well. Staff cleaned the room every day. Composed of 2 buildings, Hotel Résidence de Bruxelles is located in Paris’s 18th district, 2625 feet from Gare du Nord and a 10-minute walk from Montmartre. Perfect welcome by the Patron, loved the little kitchen and courtyard for doing own breakfast. Set in a Hausmannian-style building, the Avalon Hotel Paris is a 5-minute walk from Gare du Nord train station. It offers stylish rooms and studios with free Wi-Fi connection and Satellite TV. The receptionist Bruna was very helpful. 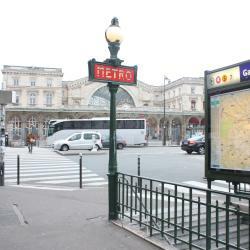 Hotels with great access to Gare du Nord Metro Station! The Art Hotel is located between the Gare de l’Est and Gare du Nord train stations. Friendly service and staff. Great location and local restaurants. We had a very enjoyable stay. The ibis Styles Paris Gare de l'Est TGV is ideally located in the center of Paris, opposite the Gare de l'Est railway station and five minutes from the Gare du Nord. Great location for Gare du Nord and Metro. 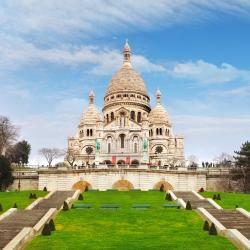 Easy walk to Seine or to Montmartre. Excellent breakfast. 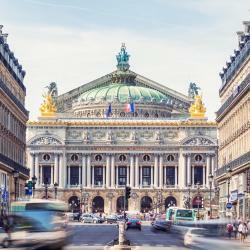 This typically Parisian hotel is located 330 yards from the Gare du Nord, close to the Gare de l'Est and near the Sacré Coeur, the Opera and Department Stores. The breakfast was fresh and delightful, could add more variety to the menu. 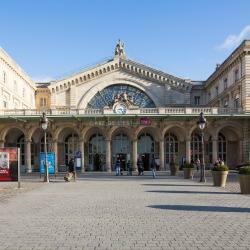 Located in central Paris, ibis Paris Gare du Nord La Fayette is just a 5-minute walk from Gare du Nord, which offers direct access to Villepinte Exhibition Center and Stade de France. 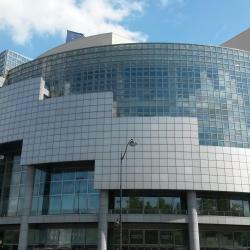 Good location, minutes away from Gare du Nord. Friendly and efficient staff. Breakfast was ample. People are talking about Gare du Nord Metro Station! 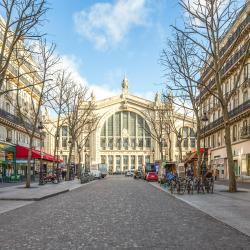 Explore guest hotel reviews featuring "Gare du Nord Metro Station"
Location, location. You could not ask for more. Just in front of Gare du Nord metro station. It takes you directly to Charles de Gaulle airport. Round the corner, there's a taxi bay just in front the metro station going to the city centre. All around, there's a lot of restaurants you can choose and a supermarket.